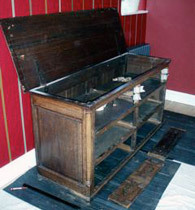 JM French Polishing was established in 1985 and covers Greater London and Surrey. We undertake sympathetic repairs and restoration of wooden furniture, floors, panels, doors, stairs – basically all wooden items. As well as restoration using shellac, oil or wax we also undertake jobs requiring re-glueing, re-building, carving or veneering. We are very pleased with Jean Marc’s excellent, careful work on our bannister (going up two floors), stripping off the white paint and bringing out the original wood in a light oak colour that suited the rest of our Edwardian house. 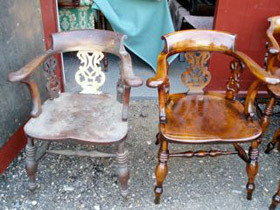 Jean-Marc also polished two damaged tables, bringing them back to perfect condition, and fixed a wobbly piano stool. We keep admiring his work, and would certainly recommend him!” … Judi and Kevin Conner, London W6. 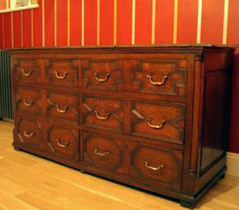 JM French Polishing are based in Purley, Surrey CR8 3QA.